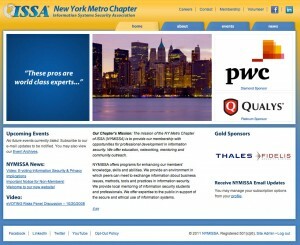 On behalf of the New York Metro Chapter ISSA, we would like to welcome you to our newly redesigned website. Our team has been hard at work designing and developing this site to serve as an efficient means of communication and a first point-of-contact for prospective members. Signing up to receive NYMISSA Email Updates via the subscribe form on the home page. Viewing past and future events and downloading presentations on our new Events calendar. Learning about NYMISSA in our About section and finding out who serves on our Board of Directors (Officers, Board and Advisors). Volunteering to serve on a NYMISSA committee via our new online Volunteer form. Connecting with us by clicking on the Facebook and LinkedIn icons in the site header. NYMISSA Editorials – op-ed pieces focusing on the information systems security industry written by our members. NYMISSA Featured Members – frequent highlights of the many outstanding members of our organization. 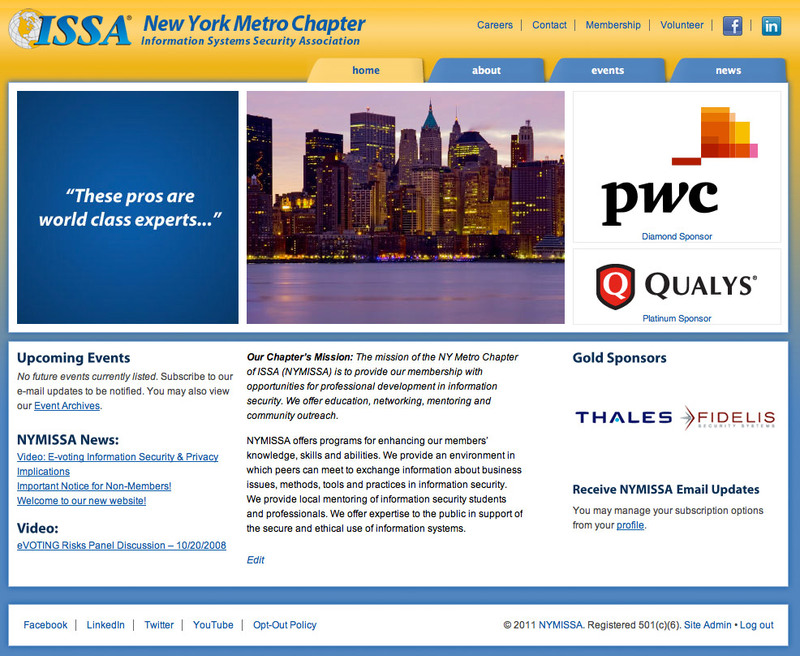 We look forward to using this new site to connect with you and advance the goals and vision of NYMISSA.